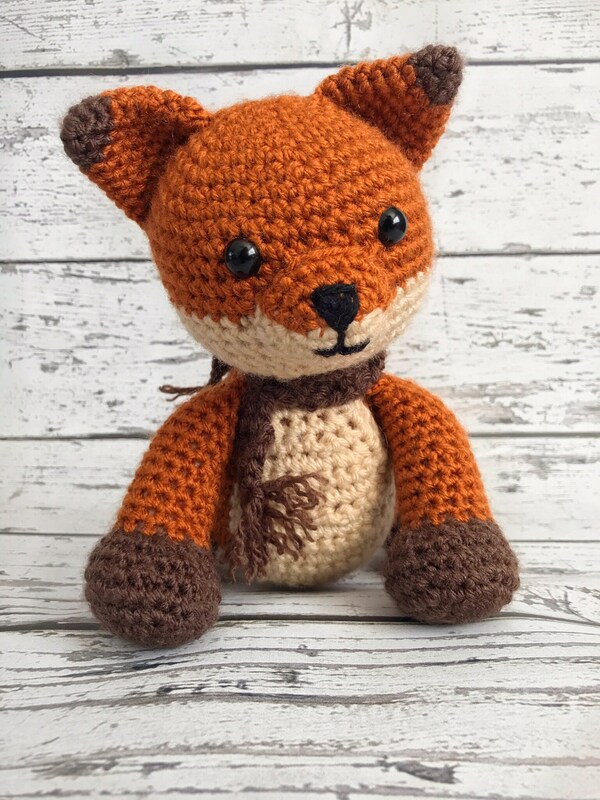 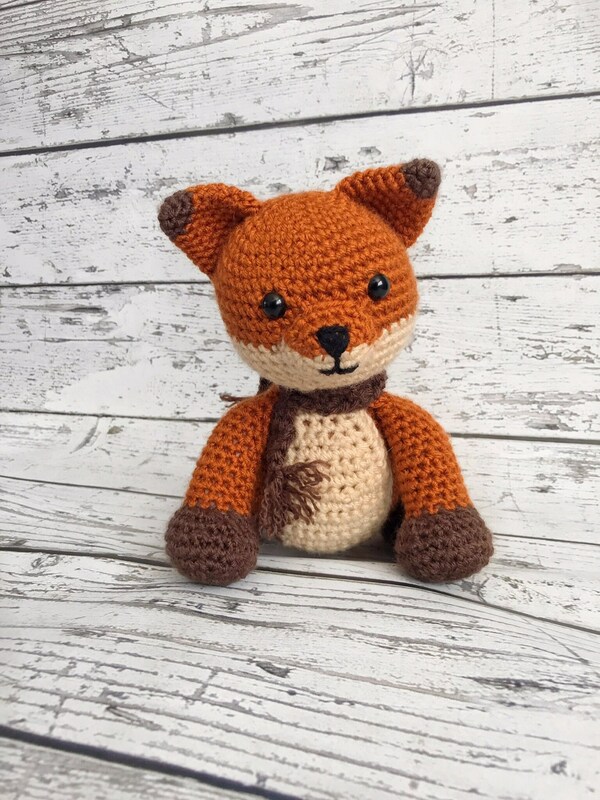 Rusty the Fox is perfect for any child to snuggle and play with! 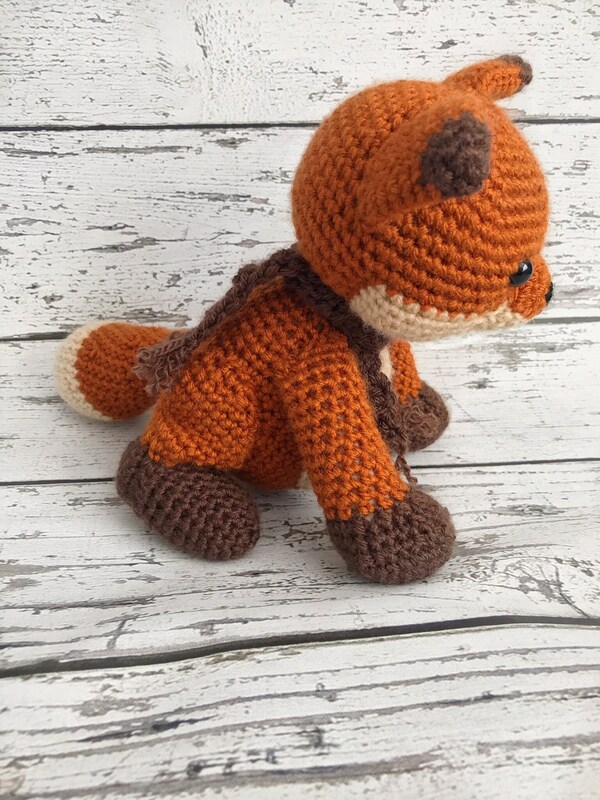 It is crocheted with love out of orange, beige, and brown acrylic yarn. 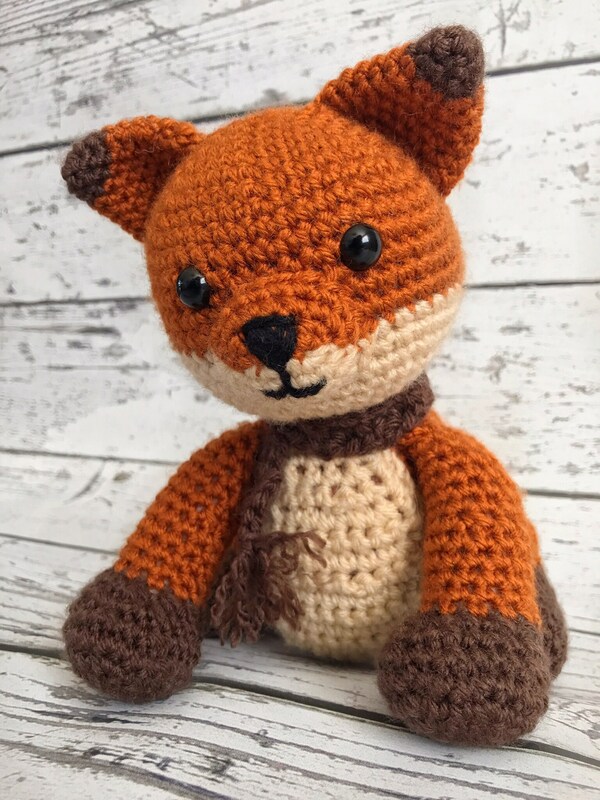 The crocheted brown scarf is removable so Rusty can stay warm during the winter months and take it off during hot summer days! 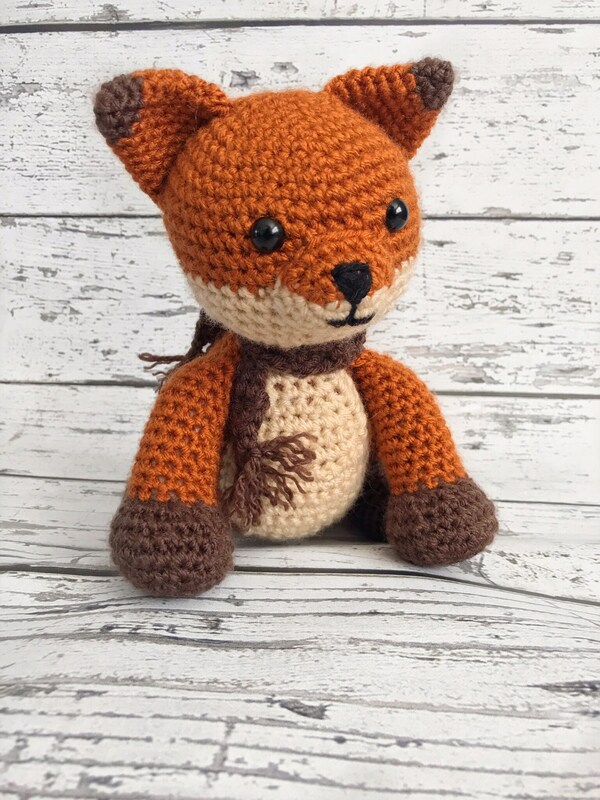 It would make a perfect baby shower, birthday, or just because gift!